India GRI 2018 is an annual conference hosted by the GRI Real Estate Club - India chapter. 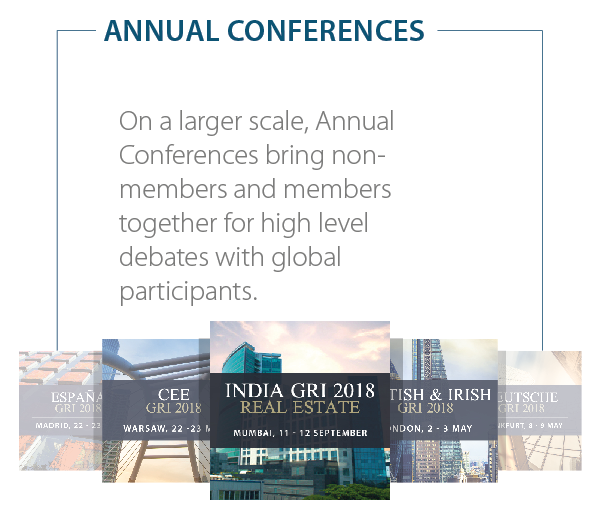 GRI’s global club brings together exclusively senior real estate investors, developers and lenders from across the globe. 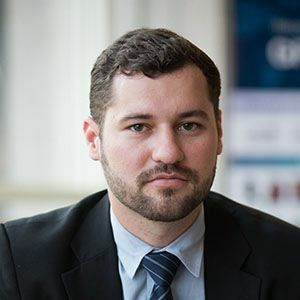 Members find the club a useful way to strengthen relationships in their territory, find new business partners, and expand their global network. 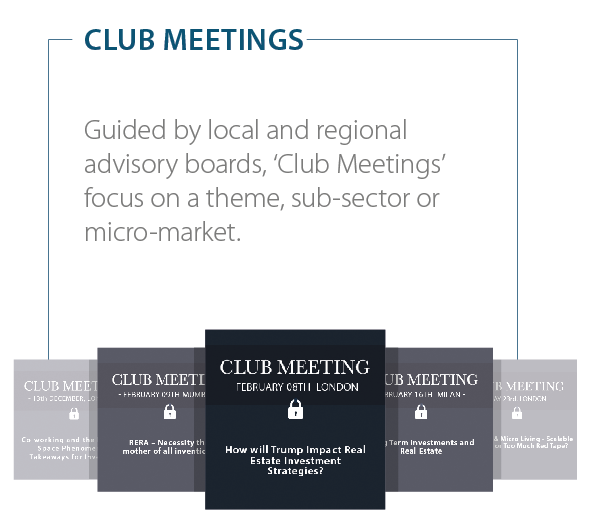 GRI Club regularly hosts behind closed doors club meetings throughout the year and cover current topics requested by the membership. 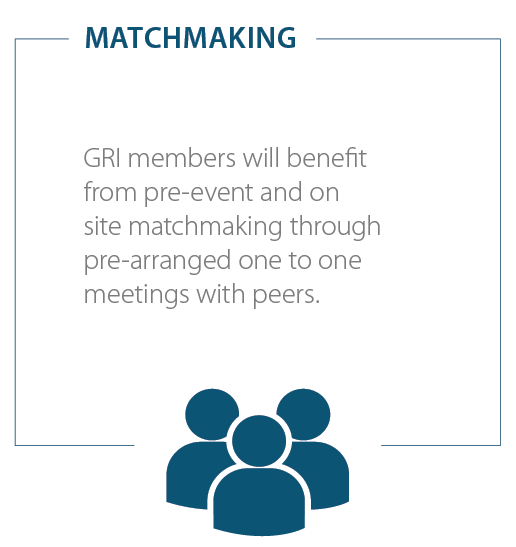 Where the annual conference India GRI is open to non-members, the club meetings are reserved exclusively for the GRI members. Membership is by invitation only and reserved exclusively for investors, lenders and developers. are welcome to further details.